To foster an appreciation of wildlife and their habitats that will inspire active participation in conservation. Elmwood Park Zoo was established in 1924 when a local farmer transferred 16 acres and a small menagerie to the Borough of Norristown. Today, the Zoo is owned and operated by the Norristown Zoological Society, a non-profit organization whose mission is to foster an appreciation of wildlife and their habitat that will inspire active participation in conservation. 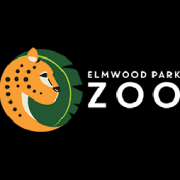 Under the Society’s careful management, Elmwood Park Zoo has attained the elite status as one of only 225 institutions accredited by the Association of Zoos and Aquariums. Would you recommend Elmwood Park Zoo?